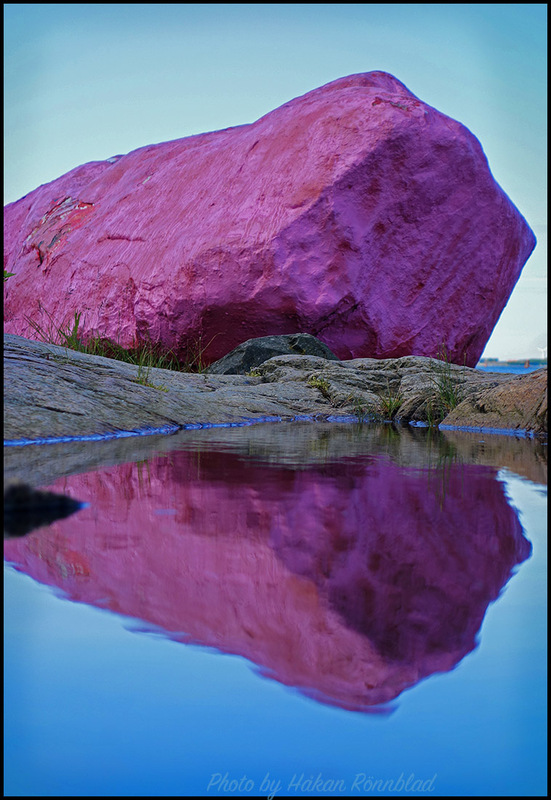 The most famous stone in Gothenburg! Oskarsleden. Gothenburg first of November. 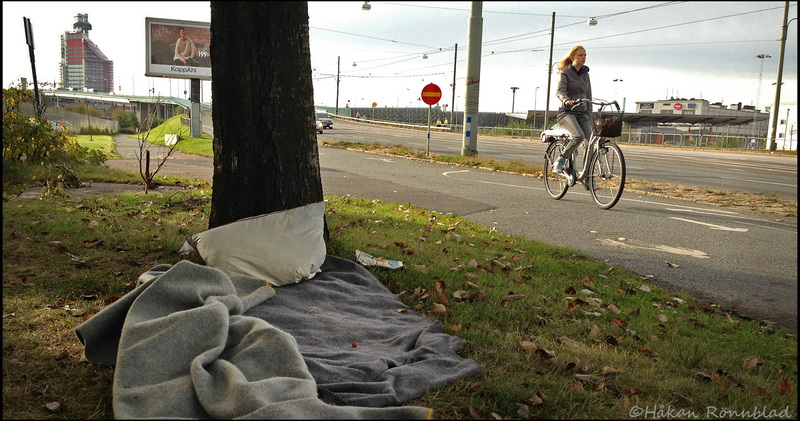 A little chilly this morning in central Gothenburg September 25, 9,30 at the northern part of Göta Älv bridge. Yesterdays news delivered by “Metro” also free of charge. Winter came. 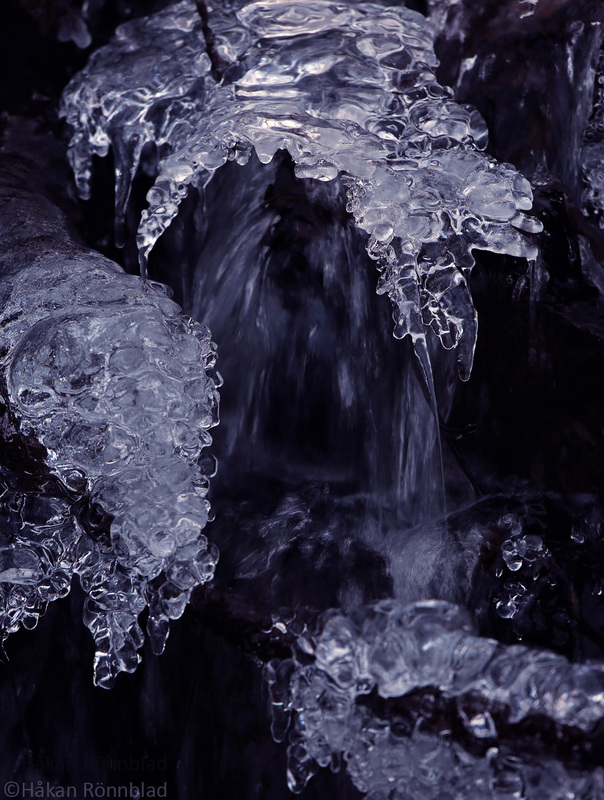 The creek along my walking trail in Änggårdsbergen is dressed in ice. This was earlier today when I was trying to get my daily dose of sun light. It´s not always necessary to go to The Seychelles or Cuba for a nice scenery. I have a live postcard waiting all the time just 2 minutes from where I live in Masthugget, Gothenburg. 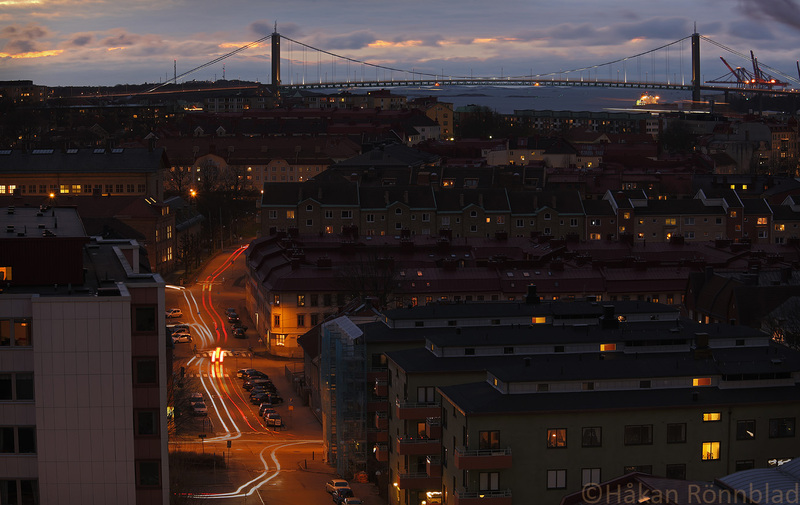 This view over Majorna and Älvsborgsbron constantly changes according to weather or light conditions. Those who follow my blog have seen it before and will most probably see it again.